revelations was created march 2nd, 2003, using paint shop pro 7 and windows notepad. all content in revelations, and further personal sites belong to myself unless otherwise stated, and therefore may not be used without previous consent. the site is run with windows notepad and ftp explorer. 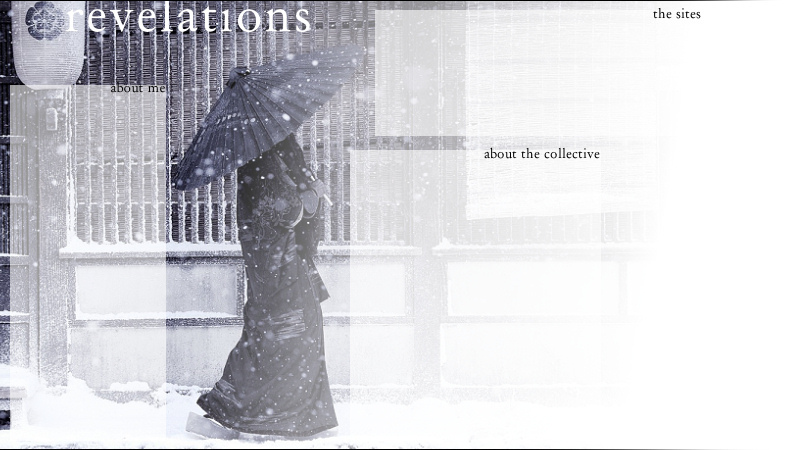 this layout was created on january 3rd, 2006, using psp 9; credits to outnow.ch for the image, from the movie memoirs of a geisha.